Continuing, Waitley listed fourteen ways that people can strengthen their self-esteem. 1. Lead with your hand. When you walk into a room always lead with your hand by offering a firm handshake. This gives you a feeling of self-assurance and indicates to others that you are confident in who you are. 2. Make eye contact. Making eye contact indicates you are a caring person capable of holding the glass of another person. 3. 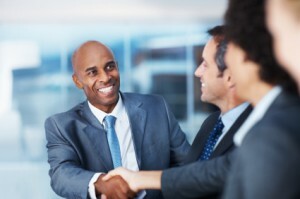 Offer Your Name First When meeting people, always introduce yourself by saying your name. 4. Smile. A smile indicates there’s a light on in your window and that you are a caring and sharing person inside. 5. Dress your best. Always dress your best—not necessarily in designer clothing—and take pride in how you look. It’s the outside of the package that draws people in. 6. Ask engaging questions. When you ask questions you are demonstrating your genuine interest in others. 7. Sit in front. When you attend meetings, sit up front and be an active participant. 8. Walk with confidence. Walk with a spring in your step—a certain type of charisma and feeling about yourself. 9. Use a positive explanatory style. Listen carefully to how people describe themselves, as that often tells a lot about how people feel about themselves. Do they say negative things? Do they make excuses? Always explain yourself with a positive explanatory style. 10. Accept compliments. When you graciously accept compliments, you are accepting yourself for who you are rather than making excuses about yourself. 11. Keep your self-talk positive. We are all our own worse critics. No eyes are as critical as our own. We don’t like pictures and videos of ourselves. There is no voice or set of eyes that has the power to discourage like your own. Look for the good in you, not the bad, and when you look in the mirror count your blessings, not your blemishes. 12. Look at what you do well. When things aren’t going well, look back at the things you have done well. When we focus on what’s good about ourselves, we feel good about ourselves. When we focus on our faults, mistakes and weaknesses, we naturally feel poorly about ourselves. 13. Hang around the right people. Our circle of influence is our circle of influencers that have a powerful impact on how we feel about our abilities and ourselves. Hang around people with the same goals, rather than the same problems. Play with better golfers and bowlers. Spend your time with people who have been more successful in the same fields. 14. Expect good things from yourself. You will not do anything or reach any goal you don’t expect to achieve. Our expectations are at the root of all our achievements, and our achievements have a profound impact on how we view and feel about ourselves. I encourage you to print out Denis Waitley’s list of ways to improve your self-esteem and read the linked Little Things Matter posts that edify his ideas. I then challenge you to be intentional about implementing each of them into your daily lives. When you concentrate on positive actions and attitudes, not only will you achieve greater personal and professional success, but you will also enjoy the powerful side effect of an improved self-image. * Denis Waitley has trained people from every walk of life, including Apollo astronauts and U.S Olympic athletes. 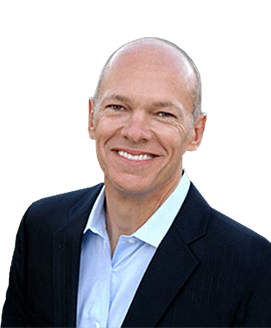 He has sold more than 10 million audio programs and has written 15 books including two best sellers: Seeds of Greatness and Psychology of Winning.